Wicked Laser’s handheld laser products are beloved by Star Wars fans everywhere. But they also make a high-end flashlight. The latest tweak to their Flashtorch design packs up to 4,100 lumens of light, making it powerful enough to cook an egg. The Flashtorch, which is available in black only, is made from military-grade anodized aluminum, so it’s durable and ever-so tough. Water resistant, the torch is 293 millimeters long, or just shy of a foot. That might seem large, but its new 18650 lithium-ion battery pack makes it lighter than the previous model, weighing in at 610 grams (one and a third pounds). A charger is included in the purchase price of the unit, and the battery can be recharged without having to be removed from the flashlight casing. Battery life is between 10 and 40 minutes, depending upon intensity of use. The halogen globe also has a life expectancy of 2,000 hours. The Flashtorch has three brightness settings and the light beam can be adjusted from a bathing searchlight mode, down to an intense focus point. However, given that a regular torch puts out around 100 lumens, the really fun party trick of the flashlight is what it can do with 4,100 lumens on the highest of its three settings. Wicked Laser demonstrates in a video that the heat generated by the light is enough to cook an egg or start a campfire, and the team over at Wired used it to melt a plastic ant—all in the name of serious research, of course. At $200 this is not your average, rolling-around-in-the-back-of-the-car flashlight, but it will serve serious adventurers well when they need some hard-core lighting in the great outdoors. And as with all their potentially dangerous products, Wicked Laser respectfully advises purchasers to use their new tool sensibly and safely. 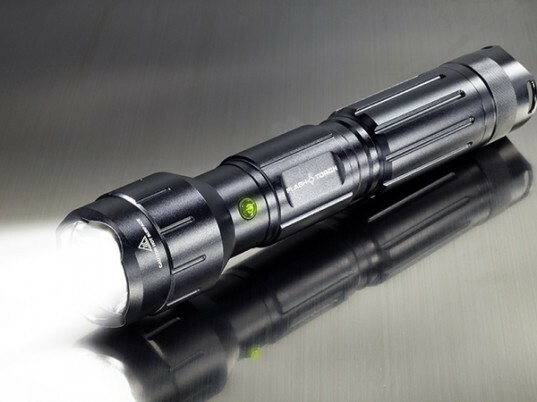 The Flashtorch puts out around 4,100 lumens on its highest setting, around 41 times brighter than a regular flashlight. 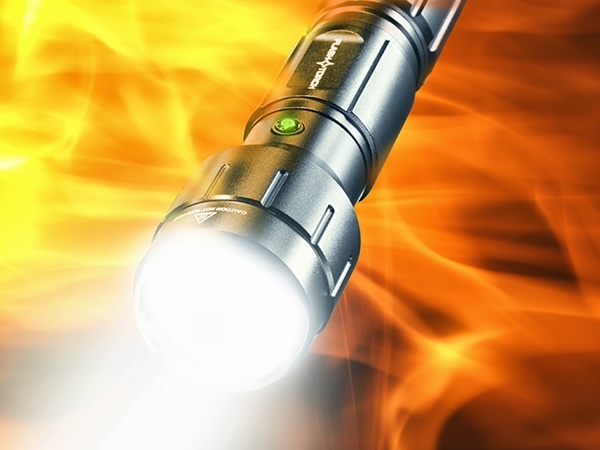 The Flashtorch has a highly durable, military-grade, anodized aluminum case. The intense light put out by the flashlight is hot enough to burn most anything it hits. Yes, you too, quit fooling around with that thing! The lithium battery can be recharged without removing it from the flashlight casing.